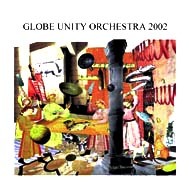 The releases of the Globe Unity Orchestra Ð «an incomparable free-music institution,» as the Penguin Guide to Jazz characterizes it Ð are rare. The jazz public knows that they are worth waiting for. After more than fifteen years, the WhoÕs Who of the European free music scene has brought out a new CD. Founded in 1966 by Alexander von Schlippenbach, in Aachen in January 2002, it performed with Peter Brötzmann, Manfred Schoof, Evan Parker, E.-L. Petrowsky, Hannes Bauer, Paul Rutherford, Paul Lytton, Paul Lovens and Alexander von Schlippenbach: they played a concert that drew a storms of applause from the numerous listeners. «It worked out so easily, as if we had never had taken a break of more than fifteen years. What an excellent indication of how everlasting our past achievements have become,» says Alexander von Schlippenbach in the booklet.